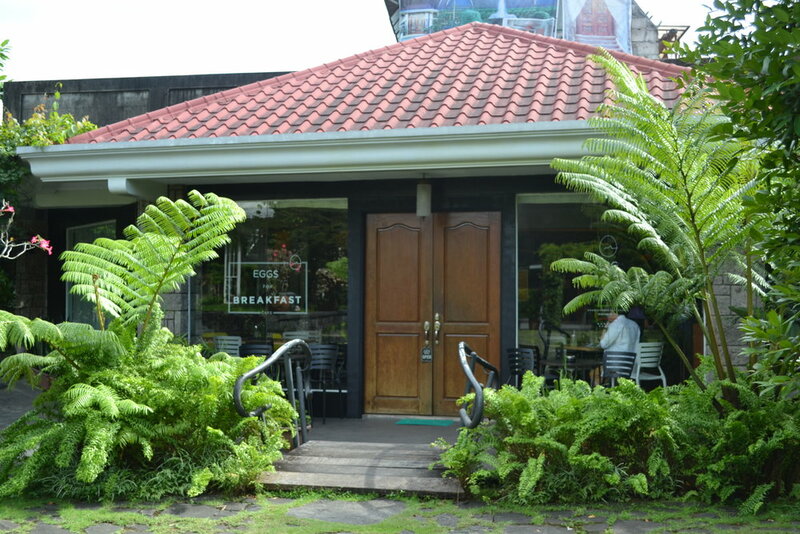 One of the best things about living in the East is discovering cafes such as Eggs for Breakfast-- a quaint all-day breakfast cafe nestled in the midst of a garden estate in Antipolo. I got the privilege of meeting the owners, one of which was also a UP Streetdance Alumna, and their "almighty" daughter, Tala. I enjoyed that lovely afternoon at their cafe and this blog post will tell you all the reasons why. First, their location is in Antipolo, a breezy area "up in the mountains" for you to share with locals and breakfast lovers alike. 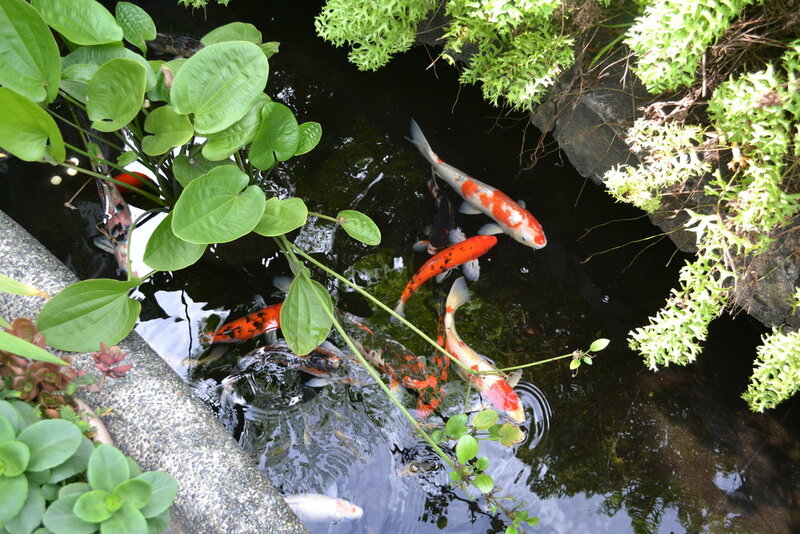 Seeing the restaurant is like seeing a house welcoming you with open arms to eat its good food. It really doesn't take much of an effort to go to the place if you're familiar with the area. 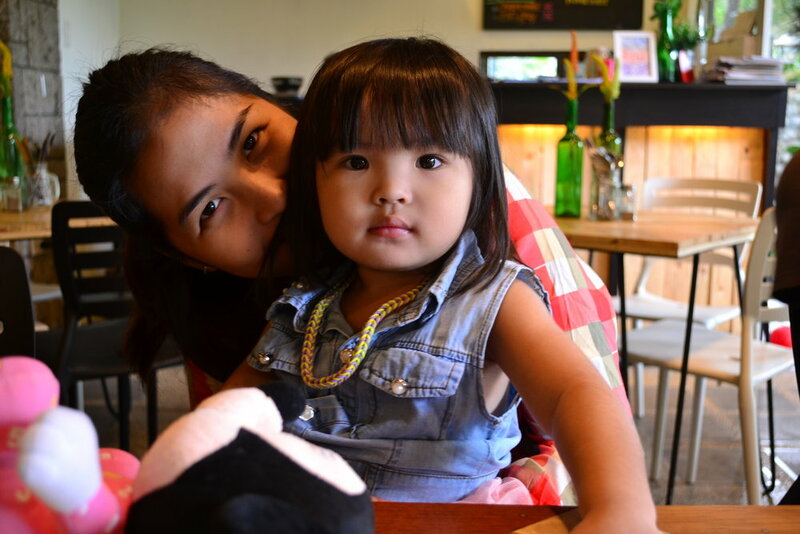 This is Mrs. Kriska and her daughter, Tala. Hans and I were able to talk to them about the whole concept of Eggs For Breakfast Cafe. Turns out, this cafe is created for anyone and everyone who craves a place to unwind, relax, have refresher, and a good time with the company of good 'ol breakfast food. It seems fit to be your own little breakfast abode in Antipolo because it genuinely feels like home. Hans and I placed ourselves in one of their picturesque spots filled with quotes and DIY eye candies and ordered several dishes to fill our tummies. Our favourite would have to be their One Pan Breakfast, which is the cafe's rendition of the Full English Breakfast dish. It comes in an enormous serving size fit for a hungry couple like us so we divided it equally to share. We also had a taste of their drinks. I had coffee while Hans had Triberries and Watermelon Smoothie. 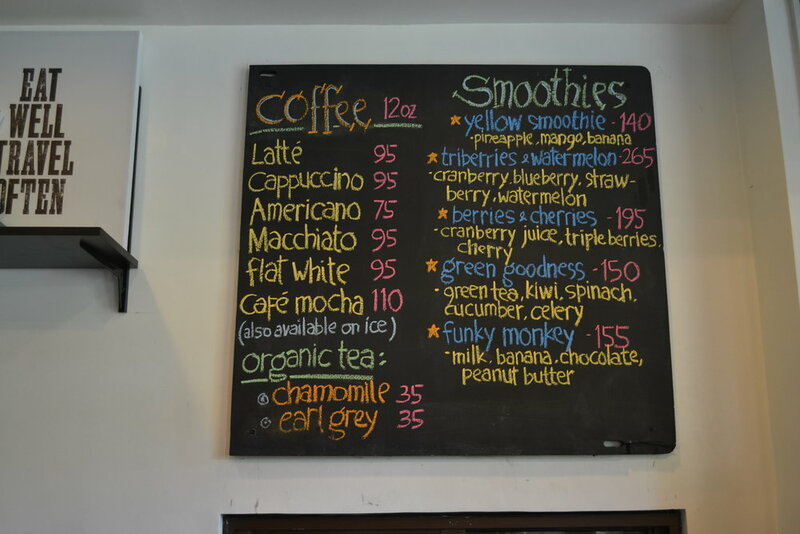 Both pleased our tastebuds but I prefer you take advantage of their freshly-made smoothies over their coffee. You'd feel the difference in the taste-- clean, not too sweet, and very refreshing it will make your brain tingle. Aside from food, Eggs for Breakfast Cafe also houses craft and artsy events for those who want to make their summer productive, or if you just want a new creative hobby to try. They actually just finished their Mother's Day Craft Party Earlier. But don't worry, they have a few more coming up. 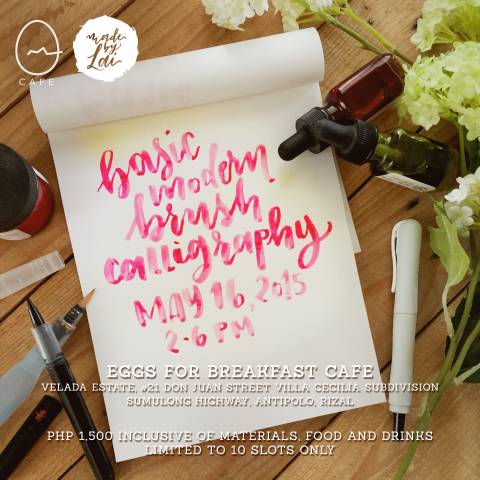 I might actually attend for their calligraphy workshop on the 16th because the craft always intrigued me. Kuripot Tip: Order One Pan Breakfast and share with your significant other, you're guaranteed to feel full and happy with the taste.